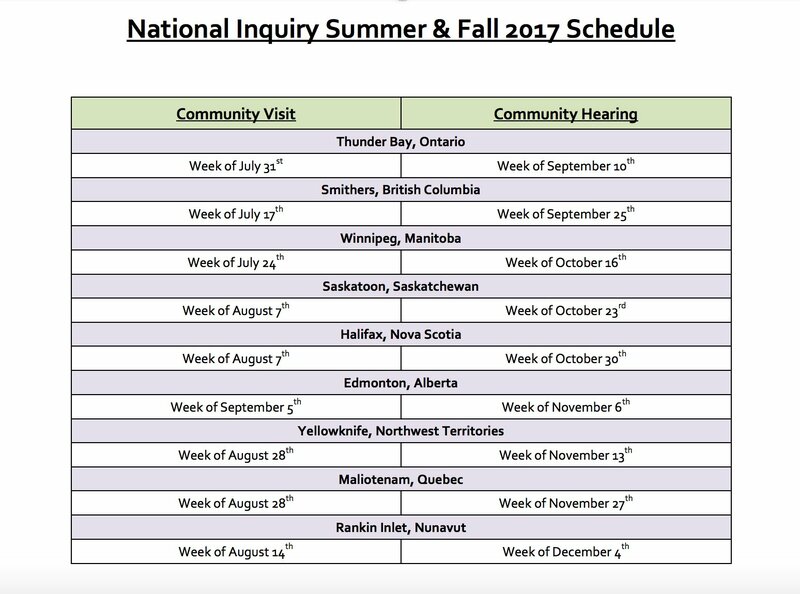 In Taken's blog, our team includes information about the hosts, series creators, and crew, recent articles carefully curated from reliable sources, and pieces of information on the issues related to Canada's MMIWG. Join us on Facebook and Twitter. Please use the hashtag #takentheseries when talking about the series or the cases. Oma KÁ OTINÍCIK kika kí wápátén oko oci ká nókosicik ékwa kákí atoskátakik é-acimícik, ékwa mína kika kí wápátén kwayaskomowéwin ékoni oko oci Kanata MMIWG. Kika kí wíciwánáwaw ota oma Facebook ékwa Twitter ká icikátéki. Anima apacíta hashtag #takentheseries oma ká animótaman oko acimowina. On Friday, September 9, 2016, at 7:00 p.m., APTN will air the first two episodes of Taken, back to back. 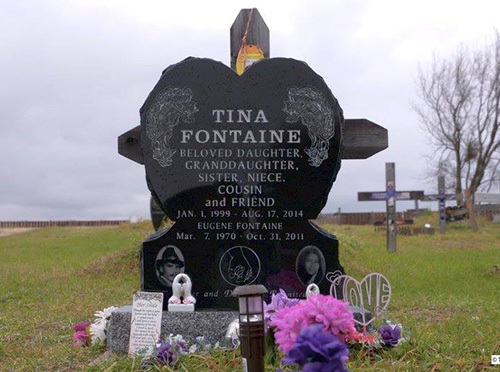 The first episode features Tina Fontaine, a 15-year-old girl whose body was found in Winnipeg’s Red River, igniting the conversation of the issue of Canada’s missing and murdered Indigenous women and girls around the globe. The second episode features the stories of Alberta Williams, and Ramona Wilson, young women who went missing from British Columbia’s notorious Highway of Tears. The reality of the sexual exploitation of children is present in every city. Some call on law enforcement to do more to prevent it. See what the press has been saying about Taken and the repercussions of the series. Wápáta tanisi é itákik óma ká nókwak Taken. Taken goes beyond the TV. Spread the word on your social media, follow our Facebook and Twitter pages. You too can help solve these cases. If you have any information, please submit an anonymous tip by calling Crime Stoppers. 1.800.222.8477 * Toll free from Canada & the US. Misiwé óta askík Canada ékwa kíci mókomának. The purposes for which personally identifiable information is collected shall be identified on the Website at or before the time the information is collected. Personally identifiable information collected from you for one purpose will not be used for any other purpose without your prior consent. We do not sell or otherwise share personally identifiable information without your prior approval usually at the place on the Website where we collect the information. On the page where we ask for that information, there is a prominently displayed method to indicate to us that you do or do not want to receive promotional and/or marketing information about products, services and offerings. Check the appropriate box and your information may be used as described on the Website: leave it blank, and we consider it an opt-out. Either way, it is always your choice. As a subscriber to receive promotional/marketing or other additional information, each electronic communication you receive from us will contain an “unsubscribe” link, and if you elect to unsubscribe you will be promptly removed from our mailing list. The collection of personally identifiable information shall be limited to that which is necessary for the purpose identified by the Website. Information shall be collected by fair and lawful means. Certain non-personally identifiable information is recorded by our web-servers and hosts, including type of browser being used, its operating system, and domain name, which provide us with aggregate statistics, including number of users to the Website, average length of visit to the Website, etc. Personally identifiable information shall not be used or disclosed for purposes other than those for which it was collected, except with your prior consent or as required by law. Personally identifiable information shall be retained only as long as necessary for the fulfillment of those purposes. Company may retain your personally identifiable information on our mailing lists for the purpose of providing news, offers, opportunities and similar information to you, until you request to be unsubscribed from such mailing lists. Personally identifiable information shall be as accurate, complete, and up-to-date as is necessary for the purposes for which it is to be used. Company will periodically update its records to keep the information current. Personally identifiable information shall be protected by security safeguards appropriate to the sensitivity of the information. Company shall make readily available to you specific information about our policies and practices relating to the management of personally identifiable information. Upon request, an individual shall be informed of the existence, use, and disclosure of his or her personally identifiable information and shall be given access to that information. You shall be able to challenge the accuracy and completeness of the information and have it amended as appropriate. This Agreement. This Website Access and Use Agreement (the "Agreement") is between you and Taken Season 1 Inc. (the "Company"), and contains terms and conditions pertaining to your use of the "takentheseries.com" web site (the "Website"). The Website is offered to you conditioned upon your acceptance without modification of the terms, conditions, and notices contained herein. Your use of the Website constitutes your agreement to all such terms, conditions, and notices. IF YOU DO NOT AGREE TO THESE TERMS AND CONDITIONS, DO NOT ACCESS OR USE THE WEB SITE. Modifications Of This Agreement. Company reserves the right to change the terms, conditions, and notices under which the Website is offered, including but not limited to the charges (if any) associated with the use of the Website. Notification of changes will be posted on the Website, and you are responsible for regularly reviewing these terms and conditions. Grant of Access. This Agreement provides you with a non-exclusive grant of access to and use of the Website at the sole discretion of the Company and subject to your continuing compliance with the terms and conditions of this Agreement. Right To Restrict Access. Company reserves the right to change, suspend, or discontinue any aspect of its Website at any time, including the availability of any feature, database or content contained in the Website. The Company may also impose limits on certain features and services or restrict your access to parts of or all of the Website without notice or liability. The Company reserves the right in its sole discretion to correct any errors or omissions in any part of the Website. Personal And Non-Commercial Use Limitation. Unless otherwise specified, the Website is for your personal and non-commercial use. You may not modify, copy, distribute, transmit, display, perform, reproduce, publish, license, create derivative works from, transfer, or sell any content, information, software, products or services obtained from the Website. Links To Third Party Sites. The Website contains links to other Websites ("Linked Sites"). The Linked Sites are not under the control of Company and Company is not responsible for the contents of any Linked Site, including without limitation any link contained in a Linked Site, or any changes or updates to a Linked Site. Company is not responsible for webcasting or any other form of transmission received from any Linked Site. Company is providing these links to you only as a convenience, and the inclusion of any link does not imply endorsement by Company of the Linked Site, its contents, or any association with its operators. Your use of any Linked Site is subject to the terms and conditions of the respective Linked Site. Tribute Wall And Maryanne Pearce Database. The Website incorporates a “Tribute Wall” - a database of missing and murdered Indigenous women and girls researched and compiled by researcher Maryanne Pearce (the “Pearce Database”) included with permission of Ms. Pearce. The process of researching and compiling the Pearce Database of historical cases, and adding new cases as they occur to the Pearce Database, is on-going. While Ms. Pearce has made and will continue to make the Pearce Database as comprehensive and accurate as possible, neither Ms. Pearce nor Company can guarantee the comprehensiveness or accuracy of the Pearce Database. No Unlawful Or Prohibited Use. As a condition of your use of the Website, you warrant to Company that you will not use the Website for any purpose that is unlawful or prohibited by these terms, conditions, and notices. You may not use the Website in any manner which could damage, disable, overburden, or impair the Website or interfere with any other party's use and enjoyment of the Website. You may not obtain or attempt to obtain any materials or information through any means not intentionally made available or provided for through the Website. Copyright. All content included in the Website is protected by copyright. All content currently displayed on the Website is either the copyrighted property of Taken Season 1 Inc. and/or the copyrighted property of those providing content to Company ("Content Suppliers") including the Pearce Database. Trademarks. "Taken the Series" is an exclusive tradename of Company. Other product and company names contained in the Website are the trademarks/tradenames of their respective owners. Reservation of Rights. All copyrights, trademarks, and other intellectual property rights are hereby reserved. No User Contributions. The Website does not contain any newsgroup, forum, or other message or communication facility that enables you to post or otherwise upload material to the Website. User Tips On Cases. The Website includes the telephone number of the Crime Stoppers Tip Line. The Company does not accept tips regarding the open cases of missing and murdered Indigenous women and girls. The Company cannot accept such tips. All persons contacting Company with tips, no matter how received by Company, will be directed to Crime Stoppers. Blog. The Website includes the Company’s blog. The Company posts information about the Series’ hosts, creators and crew and reproduces selected tweets from curated sources (but not from users) in its blog. While users are precluded from posting to the Website, users may join existing conversations on Company’s Facebook® page and/or may join Company’s Twitter® conversation at @takentheseries. Although the Company has curated the sources of the tweets reproduced in the blog, Company is not responsible for the content of those tweets which are in all events solely the opinions of the sources and not the opinions of Company. e-Ceremony. The Website includes the ability for a user to honor by “e-smudge” a missing or murdered Indigenous woman selected from the Tribute Wall/Pearce Database. The user’s name is not collected by the Website or Company, however the user may elect to include a post on the Company’s Facebook page, or may tweet that they have done so, and if they so elect the user understands that their identity will likely become known to the public. No Representation or Warranties by the Company. You agree that the Website, including all content, functions, materials and information made available on or accessed through the Website, is provided to you at your own risk for your personal non-commercial use and on an "as is, as available" basis. To the fullest extent permissible by law, the Company makes no representations, endorsements or warranties, expressed or implied, including, but not limited to, those of merchantability or fitness for a particular purpose, with respect to the Company, the Website, or any content, merchandise, information or service provided through the Website or the functions made accessible by any software used on or accessed through the Website, for any hypertext links to third party web sites or for any breach of security associated with the transmission of sensitive information through the Website or any linked site. The Company does not warrant that the functions contained in the Website or any content contained therein will be uninterrupted, error free or that defects will be corrected. No Endorsement by the Company of Internet information. You understand that the Company or its Content Suppliers do not operate, control, or endorse any information, products or services on the internet in any way nor does the Company or its Content Suppliers represent or endorse the accuracy or reliability of any advice, opinion, statement or other content displayed or distributed through the Website. You acknowledge that any reliance upon any such opinion, advice, statement, memorandum, or content shall be at your sole risk. You agree that neither the Company nor its Content Suppliers shall be liable for any cost or damage arising either directly or indirectly from any such opinions, advice, services, merchandise and other content. You understand further that the internet contains unedited materials, some of which are sexually explicit or may be offensive to you, that you access such materials at your own risk and that the Company has no control over and accepts no responsibility whatsoever for such materials. No Liability. You agree that in no event will the Company, its affiliates, and the Company's and its affiliates' respective officers, directors, employees, agents and contractors be liable for: (i) any incidental, consequential, or indirect damages (including, but not limited to, damages for loss of profits, business interruption, loss of programs or information, and the like) arising out of the use of or inability to use the Website, or any content or transactions provided on the Website, even if the Company, its affiliates, and the Company's and its affiliates or their authorized representatives have been advised of the possibility of such damages; or (ii) any claim attributable to errors, omissions, or other inaccuracies in the Website and/or content, materials or information downloaded through the Website; or (iii) any injury, sickness, disease, death, damages, claims, or liability arising out of or attributable to the use by anyone of the Website or of any hardware, including any television set, monitor, or screen, arising out of or attributable to use by anyone of such hardware for the purpose of accessing and/or viewing the Website. You agree that no joint venture, partnership, employment, or agency relationship exists between you and Company as a result of this Agreement or use of the Website. Company's performance of this Agreement is subject to existing laws and legal process, and nothing contained in this Agreement is in derogation of Company's right to comply with governmental, court and law enforcement requests or requirements relating to your use of the Website or information provided to or gathered by Company with respect to such use. If any part of this Agreement is determined to be invalid or unenforceable pursuant to applicable law including, but not limited to, the warranty disclaimers and liability limitations set forth above, then the invalid or unenforceable provision will be deemed superseded by a valid, enforceable provision that most closely matches the intent of the original provision and the remainder of this Agreement shall continue in effect. Unless otherwise specified herein, this Agreement constitutes the entire agreement between the user and Company with respect to the Website and it supersedes all prior or contemporaneous communications and proposals, whether electronic, oral or written, between the user and Company with respect to the Website. Headings are for convenience only. A printed version of this Agreement and of any notice given in electronic form shall be admissible in judicial or administrative proceedings based upon or relating to this Agreement to the same extent and subject to the same conditions as other business documents and records originally generated and maintained in printed form. This Agreement and your use of the Website shall be governed by the laws of the Province of Manitoba and the laws of Canada applicable therein. You agree that exclusive jurisdiction for any claim or dispute resides in the courts of the Province of Manitoba. You further agree and expressly consent to attorn to the jurisdiction of the courts of the Province of Manitoba in connection with any dispute or claim involving you, the Company, the Company's affiliates, or the Website. The Company may assign its rights under this Agreement and its ownership of the Website or any interest therein at any time without notice to you. You may not assign your rights under this Agreement to anyone. Copyright 2016 Taken Season 1 Inc. This infographic uses highly credible data sources and expert interpretation to communicate the odds of an Indigenous woman being murdered or missing compared with other women across Canada. The primary data source used to create this interactive infographic is Dr. Maryanne Pearce’s, H.B.A., M.A, doctoral thesis An Awkward Silence: Missing and Murdered Vulnerable Women in Canada and the Canadian Justice System, which includes a database of missing and murdered women and girls in Canada. 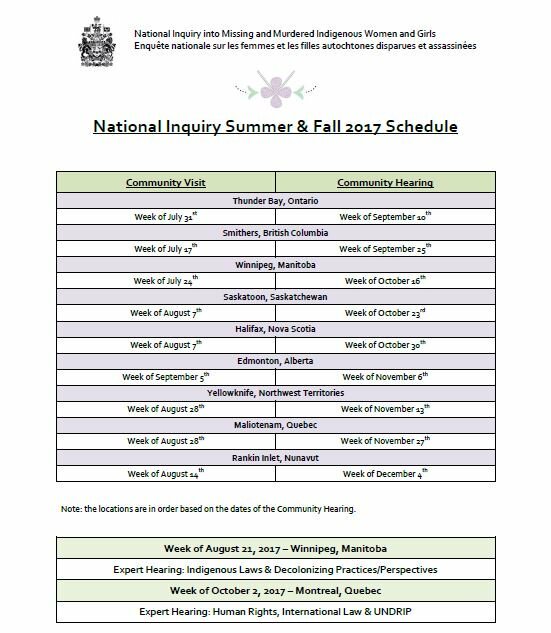 The database has been updated continually (July 5, 2016), and has been used by CBC for their special series on Indigenous women and girls, the Globe and Mail, and APTN, as well as the RCMP, provincial/territorial governments, non-governmental organizations and grassroots groups across the country. BC Institute Against Family Violence (www.bcifv.org). The data was interpreted by Dr. Tracey Peter, an Associate Professor and Associate Head in the Department of Sociology at the University of Manitoba. Dr. Peter helped transform the data into an odds ratio – a ratio that represents the odds an outcome will occur given a particular exposure, compared to the odds of the outcome occurring in the absence of that exposure. To create the odds ratio she combined Dr. Maryanne Pearce’s data with Statistics Canada 2011 National Household Survey and newethncity/nnnewstatus variables. All data was then filtered by the last 10 years of murdered or missing women. She recommended focussing analysis on the last 10 years because the population data is based on 2011 (approximately 5 years before and after that date), but to go back further would be difficult since there are more widespread population changes. Finally, the per capita representation was determined allowing for a fair 1:1 comparison between each ethnic group. Dr. Tracey Peter is an Associate Professor and Associate Head in the Department of Sociology at the University of Manitoba. Her general research and publication interests include: research methods/applied statistics, mental health and well-being, issues of homophobia and transphobia /LGBTQ-inclusive education, trauma and violence, suicide prevention, and social inequality and marginalization.